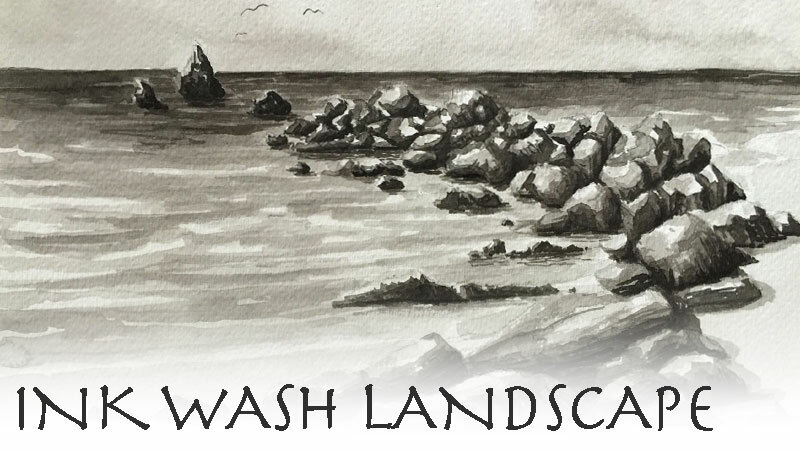 A four-part series on creating with ink wash. Part one explores basic ink wash techniques. In part two, thumbnail sketches are developed and discussed before moving on to drawing the contour lines on the final surface. Parts three and four demonstrate the process of applying semi-transparent washes of diluted ink to build up the tonal range and complete the image. Four hours of video instruction are included in this series. If your internet connection is weak or slow, it may take a few minutes for the videos to show. Each video is over 1 hour long, so they are very large files.